Hi, readers! Today’s post is occasioned by something seen in the grocery store checkout line. 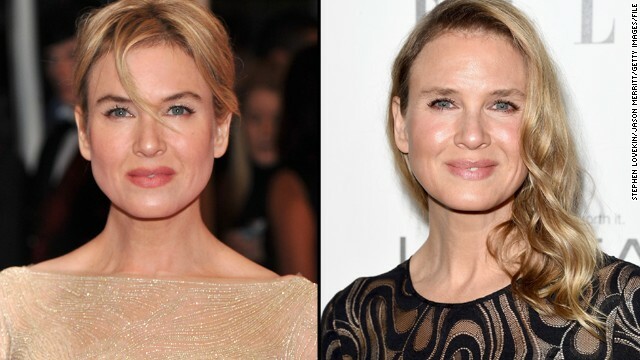 Namely, before and after pictures of Renée Zellweger. The ones I saw were in Us Weekly, but similar juxtapositions have been all over the media, since, apparently, she was nearly unrecognizable at a fashion preview a month or so ago. I find the change really chilling on several levels. First, although her face clearly looks quite different than it did before, she is apparently maintaining that the differences are due solely to health-related diet and exercise changes. I’ve always liked her persona in films as she (often) plays women with humor, sass, and common sense. Having plastic surgery to this degree is a dreadful negation of these things, and trying to erase the effects by a not very convincing story is even more so. But an even sadder commentary is the fact that her original looks were completely sandblasted away. The plastic surgery is not obvious just because—or even primarily because—she suddenly looks younger; it’s obvious because she suddenly looks profoundly different. The whole thing reminds me of Scott Westerfeld’s young adult novel Pretty, a science fiction tale in which every member of society, at 16, undergoes plastic surgery to be (as you might guess from the title! ), pretty, beautiful, with perfectly symmetrical features. Westerfeld is a master at crafting his dystopian fiction to be only a few turns different than the contemporary world. After their surgery, for example, young people congregate in New Pretty Town. Parents are “middle pretties” and the generation before them are “old pretties.” One can easily imagine an actress thinking she is an “old pretty” who needs to be rejuvenated. But, if I really get my meta on, I have to say it also reminds me of Jean Baudrillard’s simulacra. Let me quote the introduction to Baudrillard in The Norton Anthology of Theory and Criticism: “simulacra seem to have referents (real phenomena they refer to), but they are merely pretend representations that mark the absence, not the existence, of the objects they purport to represent.” An example Baudrillard himself gives is Disneyland–indeed, it is the example most frequently given in the explication of his work. Frontierland and pirates in Disneyland are fantasies, not the real thing or even images of the real thing (as photographs, for example, would be). Unfortunately, Renée Zellweger’s face is now an example of simulcra as well. Today, I’m going to celebrate the opening of a new month by writing about a cultural phenomenon that takes place within it: National Novel Writing Month, or, as the shortened form is known to cognoscenti, NaNoWrMo. National Novel Writing Month is a challenge to write 50,000 words on a novel either by yourself, in concert with the Web site dedicated to it, or in tandem with writing buddies. Hundreds of people worldwide participate in it. While the statement on the Web site talks about 50,000 words, you can really set any goal for yourself. The point is to generate words every day for the entire month. And then pat yourself on the back at the end! And publish, revise, or whatever your heart desires. I’m going to link this to elements in my graduate study, as I love to do. One of the first courses I took talked about the distinction between modern clock time and the festivalization of time that preceded modernity. Modernity is (among other things) about the institution of clock time: a standardized, regimented span of days, continually beginning and ending at designated times. 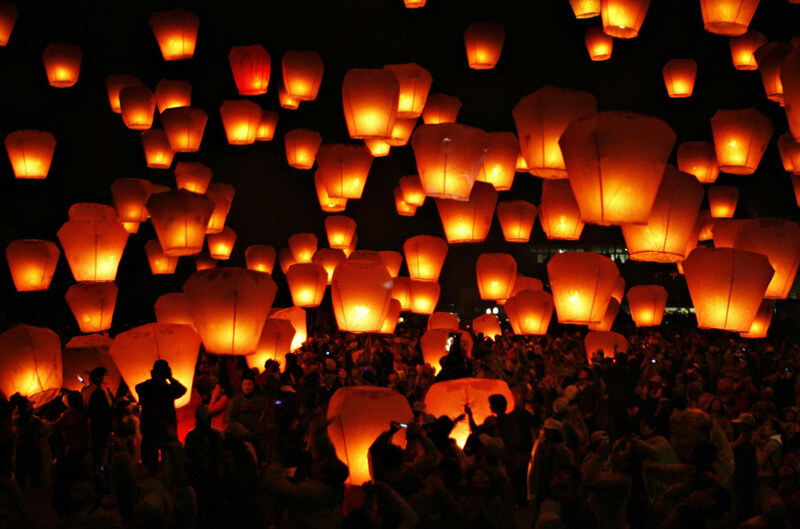 Older eras were defined by feast days, festivals, and so forth. One of my professors argued that, in the contemporary world, widely celebrated holidays (think Thanksgiving, also coming up this month) were one of the few retentions of festival time (a continually replenishing, continually consumed table over the years, containing ritual elements). Interestingly enough, it can be argued that the academic year also contains elements in common with festival time (very broadly defined, of course). Why? Well, rather than being a series of standardized days of roughly equal length, semesters have periods of waxing and waning, bookended with time that is celebrated as (first) a beginning (think welcomes and invocations) and (second) as ends (think holiday parties and breaks, which are unregimented time). You can see the components of “festivalization” most clearly, I think, by comparing the waxing, waning, and punctuation of beginning and ends with corporate life. In the latter, one may have a vacation or holiday time off, but it is not celebrated as a beginning or end (certainly not in common), and while there may be busy periods or slow, it is not felt as a waxing in the way that the semester goes uphill, uphill, and then down (final grading!). And I think it is no accident that this custom happens during the bleakest month of the year. (I know many people would nominate December for this honor. Not me. 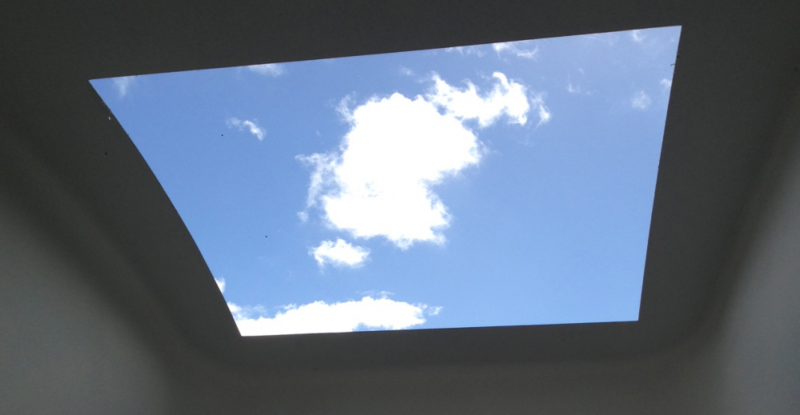 Whereas the daylight in December increases after the 21st, the daylight in November only goes downhill.) It’s a shared ritual of harboring the light within, I think, and making sure that you are producing a kind of internal, creative warmth. I find it very encouraging to be part of such a team on these cold and dark mornings. So, all hail, NaNoWrMo!